We have reached the final EEPA 2018 category, Responsible and Inclusive Entrepreneurship. This category recognises projects and initiatives that promote corporate social responsibility among small and medium-sized enterprises and entrepreneurship among disadvantaged groups such as the unemployed, legal migrants, disabled, or people from ethnic minorities. For the 2018 competition, projects competing in this category come from France, Germany and Ireland. Don’t forget to read about the shortlisted projects in Category 1: Promoting the Entrepreneurial Spirit, Category 2: Investing in entrepreneurial skills, Category 3: Improving the Business Environment, Category 4: Improving the Business Environment and Category 5: Supporting the Development of Green Markets and Resource Efficiency. The Remarkable Initiative operates within the ‘Initiative France’ network and specialises in loans that are interest-free and without a guarantee. These are granted in addition to local loans received by the entrepreneurs from the local ‘Initiative France’ platform. The interest-free loan increases the enterprise funds, facilitates access to bank funding and is repaid over a maximum of five years. It also comes with a mentoring and sponsorship plan established jointly between the entrepreneur and the local platform. The loan favours enterprises that combine job creation, economic success, innovation and responsible commitments to their local communities and environment. ProjectTogether is a leading digital incubator for social start-ups. As the first contact for young founders of social projects, ProjectTogether identifies functioning approaches and builds bridges between the active young generation and social institutions in order to actively shape social development. The incubator empowers young founders by supporting and training them, but also by obliging them to play a decisive role in shaping our society. Project leaders receive digital coaching through webinars and an active online community of founders and experts, as well as access to networks to connect with government bodies, companies and foundations. Laois Start Your Own Business Programmes cover the adaption of mainstream training and mentoring programmes into pilot programmes to meet the needs of groups traditionally excluded from enterprise opportunities. Identified groups include older people, ex-prisoners, migrants and asylum seekers. The programme includes the first of its kind delivered in an asylum seeker provision centre, as well as similar programmes delivered in several prisons. Each programme is adapted to the audience and addresses the different challenges and circumstances faced by each group. Trainers are also specifically selected and trained so as to be relatable for participants. The European Enterprise Promotion Awards (EEPA) winner testimonials continue! Today’s testimonial takes us to France to meet the 2017 winner of the ‘Responsible and Inclusive entrepreneurship’ category, ADIE (Association for Economic Rights Initiatives). ADIE is an association which helps people without access to conventional banking services start-up their business, thanks to their initiatives like Microfranchise Solidaire, the first operator of microcredit in France. Today they share with us their EEPA 2017 journey, and their advice for anyone planning to enter the 2018 edition. We heard about the competition through the French Entrepreneur Agency (Agence France Entrepreneur) which talked about the national prize and also happens to be an ADIE financial partner. We also already knew about the prize having applied for it several years ago. We decided to participate this time because we wanted to respond to our financial partner’s request, but also promote our work on a European level. The communication aspect and being on a European platform was an equally important motivating factor. We first filled out the selection forms and then went on to contact project supporters. We used our contacts to develop and produce testimonials from those who had been supported by or had supported the project. It was incredible! It was an amazing recognition and such a great source of motivation for us to continue our work! The speech that we gave at the SME Assembly was such an exciting and impressive moment, and I really appreciated being in front of a crowd that was so understanding as well as engaged by the work of our project. 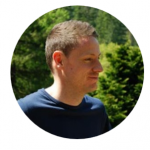 I later realised that winning and being identified in front of everyone was really important, because afterwards I was approached by several people who wanted to know more about the project. It was really interesting to be able to speak about our work with so many different people. ADIE’s victory in the ‘Responsible and Inclusive Entrepreneurship’ category had two main impacts. Firstly, it created a great sense of pride for all of the involved teams as the large amount of work that we all put in is not always recognised, so it felt good to receive recognition for it. Secondly, our win had an impact in terms of communication as we shared our win all over social media. This led to a good presence on social media and helped contribute to raising awareness of what we do. However the communication on other platforms, for example those run by French media, was a little limited and we would have liked to have a bit more. My advice for future applicants would be to work a little more upstream, and to focus on having good national mobilisation around your project and work. Once this is established this can then be complemented by working with the public entities that transmit the EEPA message and that organise the awards. Our objective is to reinforce the project so as to help create new micro franchises, and with them create 3 000 medium term jobs. Our plans also include the securitisation of an economic model which will allow new entrepreneurs to become a part of the project. To find out more about ADIE, read about them right here in the 2017 compendium, be sure to watch their winning moment from the EEPA 2017 ceremony in Tallinn here and of course, don’t forget to check out their website! Time to introduce our final category of EEPA 2017 candidates! The category of ‘Responsible and Inclusive entrepreneurship’ recognises initiatives that promote corporate social responsibility among small and medium-sized enterprises and entrepreneurship among disadvantaged groups such as the unemployed, legal migrants, disabled, or people from ethnic minorities. This year there are two nominated projects for the European prize from France and Portugal. Adie (Association for Economic Rights Initiatives) is an association which helps people without access to conventional banking services start-up their business, thanks to their initiatives like Microfranchise Solidaire, the first operator of microcredit in France. By 2016, it had supported 19,431 people and enabled the creation and development of 14,366 businesses. 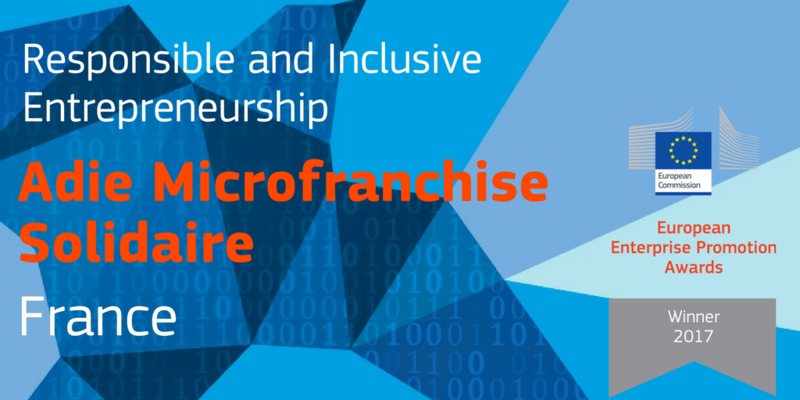 Additionally more than 200 entrepreneurs have already joined a microfranchise network and benefitted from the support of a partner in order to set up and develop their activities. The Mundar Change your World – Young Entrepreneurship Contest is a platform that offers children and young people the chance to create, present and experiment with their ideas. Created in 2013, it gives young innovators between the ages of 16 and 30 a chance to have their ideas funded and implemented. To date 77 youth ideas with personal, community and social benefits have been implemented, allowing youth to have a real impact without one of the biggest hurdles, financial support, getting in the way. Who will come away with an EEPA 2017 prize? Which projects will be our 2017 European winners? We can’t wait to find out at the SME Assembly 2017 in Tallinn this November! Read more about about Category 1: Promoting the Entrepreneurial Spirit, Category 2: Investing in Entrepreneurial Skills, Category 3: Improving the Business Environment and Category 4: Supporting the Internationalisation of Business on the Portal, and keep coming back for the latest SME Assembly, SME Week and EEPA 2017 updates. Have we met all of the projects competing for a place on the EEPA 2017 European shortlist? Almost! Today Promoting Enterprise presents the final category of national winners, Category 6: Responsible and inclusive entrepreneurship. This category recognises initiatives that promote corporate social responsibility among small and medium-sized enterprises and entrepreneurship among disadvantaged groups such as the unemployed, legal migrants, disabled, or people from ethnic minorities. 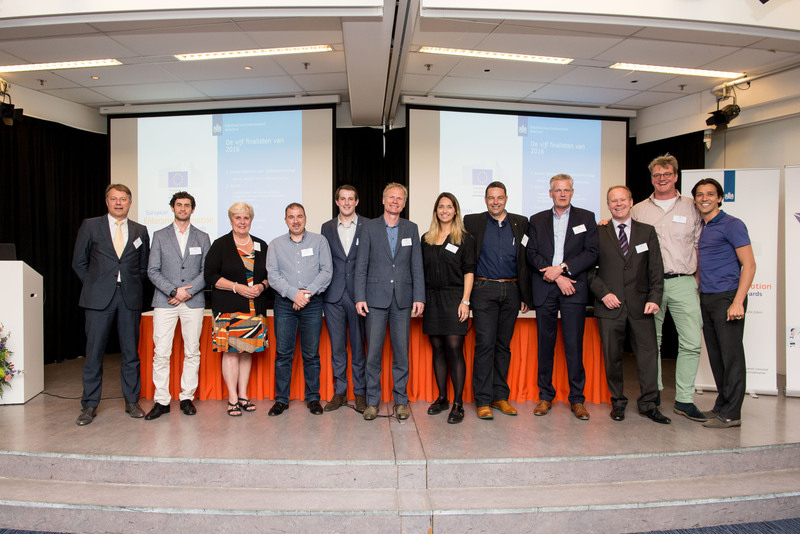 In 2016 the prize was won by The Rotterdam Business Case from the Netherlands, for their project that strives to help innovative individuals and entrepreneurs who have failed with a venture or are in financial difficulties. 10 projects will be considered for a European title in this category. Well done to all the national winners and we look forward to finding out who is on the EEPA 2017 shortlist! Entrepreneurs are ambitious, daring and think outside of the box to help advance and innovate our daily lives. Yet who helps them when they are in difficulty? Who gives them a second chance or the advice they need to be successful? The Category 6 (Responsible and Inclusive entrepreneurship) winner of the European Enterprise Promotion Awards (EEPA), is a project that does just that. Today’s interview with Rob Gringhuis, one of the project partners, gives insight into this cutting edge project that is helping innovative individuals through challenging times. 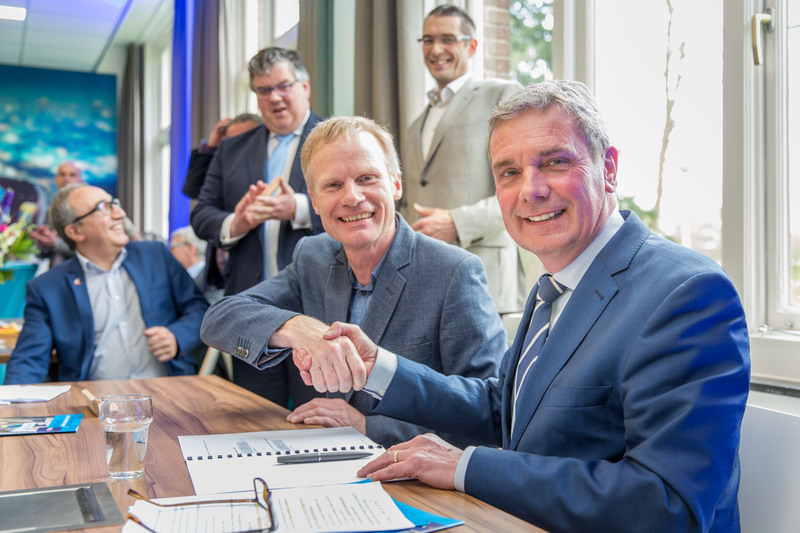 We first heard about EEPA when one partner got an email from the university of applied sciences in Rotterdam who had seen the EEPA announcement from our national economic ministry. Once we started looking into it we thought that we had a lot to offer with our project and were enthusiastic about showing people what we are doing. We had already been asked by the ministry of social affairs to present our project to other cities and regions in the Netherlands, so we saw this as a chance to take that to a European level. Our project is on the cutting edge of economic and social problems by providing entrepreneurial support, as entrepreneurs often become dependent on welfare and can cause societal difficulties. We were also curious about where our project stood on a national level and how we compared to other initiatives across the Netherlands. Our national coordinator was very helpful and shared important advice with us during the application stage. We actually entered in 2015 but were unsuccessful, so 2016 gave us a chance to improve our original application and demonstrate the progress we had made in one year. Our 2016 application included more results which had since been expanded outside of Rotterdam and across the Netherlands. What was it like to win the award and what kind of response did you receive? Winning the award was fantastic! When we first saw our competitors in our category there was a familiar project there, the Swedish nominee Entrepreneurial West Hisingen. We already knew about each other because we lost to them in a previous eurocities competition, so we knew that they were an appealing and tough project to beat. During the awards ceremony, we realised that there were only three projects announced in our category and that the Swedish project was no longer there, which made us feel a little more hopeful about winning. We were confident that we had shown the Jury the effect our project had on entrepreneurs, and also its potential for scaling up on a national level. When we were announced as the winners it was a big acknowledgment of our hard work and made us think about our project on a European level. Before EEPA we were already developing our international expansion, but winning EEPA has certainly helped accelerate that process. We were congratulated by the EEPA team and also by previous Dutch winners from 2015, who we met not that long ago. We have had the Rotterdam business case since 2013, and have since started a foundation to help other cities. We are also in conversation with other regions to see if we can help them to do the same. All of this was already under way before the EEPA win but we now have an ‘approval stamp’ on our project which has helped us accelerate our processes, made it easier for others start their own business cases and also helped our partners put proposals forward faster. The win has been a tremendous push forward and as well as boosting enthusiasm also resulted in a lot of congratulations from our peers. Ultimately this could also attract the interest of other cities and help us with our international vision. We are already in talks with Finland and may be looking at expanding to Bulgaria, so hopefully the EEPA quality stamp will help these developments. This is now a strategic question for us, how do we go forward from here? We have been asked to go to seminars and tell our story, and the foundation that we started is helping other cities and helping with scaling up of existing cases. In the long term we would like to push the project forward on a European platform, maybe in 1-2 years time we will be able to have European level business cases, but this is ambitious and would require European partners. As our foundation board is entirely made up of volunteers the problem is not enthusiasm or ambition, it is time and money, but hopefully through our research programme which interviews entrepreneurs over the years to analyse the effectiveness of the project methods, we will continue to improve and grow. Entering the national competition forces you to step outside of your project and learn how to: market it, develop a pitch and most of all make it interesting and inspirational for others. Inspiration is a very important part of EEPA work, it is what makes a project stand out. Aside from that, you should enter because it is fun! The whole process requires a lot of work and you need to invest the necessary time, but once that part is done you can really enjoy the experience of being in the competition. Our vision is a global one, meaning that we want to expand on an international scale. The project is here to assist entrepreneurs that are almost failing and so far around 50% of those who have been helped have recovered and become successful. Being successful is having a good enterprise and being a good entrepreneur, and currently there is a very large group of hard working entrepreneurs in Europe that just need help, which is why we want to expand the project, so that we can provide that necessary support. The goal is to make success a possibility for as many entrepreneurs as possible. The current target in the Netherlands is to assist 1 000 entrepreneurs a year, now we want to turn that into helping 10 000 entrepreneurs across Europe every year. We have arrived at the end of the European Enterprise Promotion Awards (EEPA) shortlist showcase! Today we present the national winners from Category 6 – Responsible and Inclusive Entrepreneurship. These projects come from all over Europe and represent: Croatia, Germany, The Netherlands and Sweden. They have been nominated for their recognition of national, regional or local initiatives by authorities or public/private partnerships that promote corporate social responsibility among SMEs. This category also covers projects that promote entrepreneurship among disadvantaged groups such as the unemployed, especially long term unemployed, legal migrants, disabled or people from ethnic minorities. An Enterprising and Responsible City Zagreb in Croatia, seeks to develop a socially responsible ecosystem that promotes inclusive entrepreneurship by empowering: the long-term unemployed, veterans, and other vulnerable groups to take up entrepreneurship, and to facilitate co-financing of their entrepreneurial projects. Since the project was launched in 2005, 508 subsidies have been granted totalling €1,630,295 and 492 businesses launched. The Public Works for Unemployed Croatian Veterans and the Unemployed Citizens of Zagreb programme resulted in 2 in 3 of the 3,445 participants finding jobs. The project was recognised by the EUROCITIES network as among the 12 best examples of European practice in promoting social inclusion through green jobs. Watch their video for more! 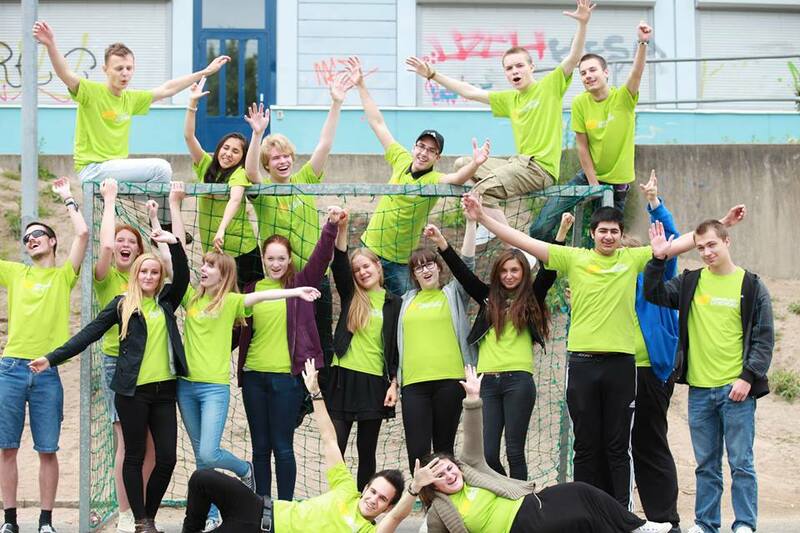 The Grossbeerenstrasse Corporate Network (NG) in Germany, consists of 60 companies with 1,500 employees and 120 trainees. Alarmed by an increase in right-wing extremism in Berlin’s Grossbeerenstrasse commercial zone, they identified a need for increased social awareness and action to defend diversity, tolerance and non-violence. As a result, in 2013 member companies launched the initiative: Courageous Network: Against Xenophobia and Discrimination! (Netzwerk mit Courage), to raise public awareness and create active networks. The scheme provides training for managing directors, HR managers, trainers and apprentices on the topic of ‘diversity in practice’ and works with schools. It also supports the integration of displaced people by providing internships and around 500 people are currently involved in NG’s various activities. Find out more from their video! 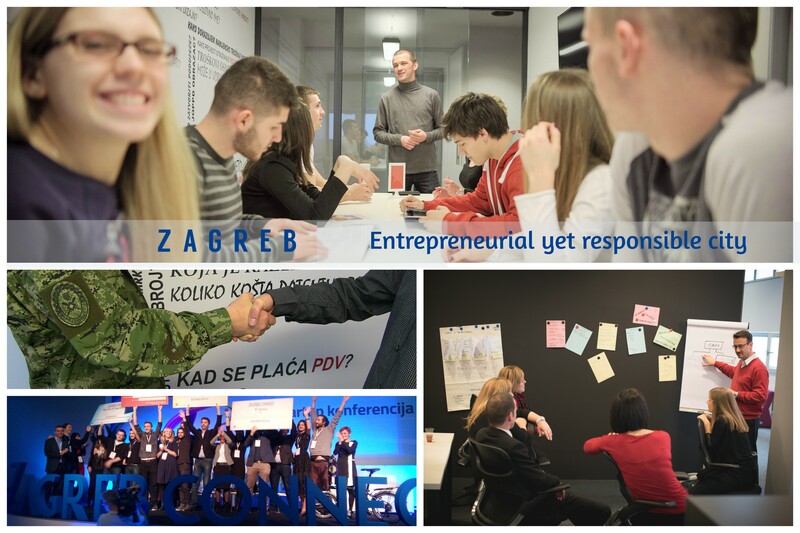 The Rotterdam Business Case (De Rotterdamse Zaak) from the Netherlands is a work training company where students in higher vocational education and experienced business coaches help support entrepreneurs to improve their business practices and entrepreneurial skills. The project focuses on entrepreneurs who operate below the poverty line and are not financially able to find a solution to their problems. More than 600 entrepreneurs have already been helped through the combined efforts of experienced senior coaches, who act as a sounding board for entrepreneurs, and junior coaches who offer more practical support. Watch their video here! 1) Entrepreneurship in education, in which 20,000 pupils pitched ideas, wrote, designed, published, marketed and sold their own books, at the largest book fair for children in Sweden. 2) Start your business, a joint venture with the University of Gothenburg and the Red Cross to pilot a start-up course for newly arrived refugees with a business background in their home country. 3) Develop your business, a training programme covering areas including online marketing, sales and trade, business negotiations, branding, etc. Watch this video to learn more! With only two weeks to go before the assembly be sure to read up on all the national winners competing for the 2016 EEPA titles! We were very surprised and very happy. Before the award ceremony, we were unsure that we would win as we didn’t think the jury would understand what we do. Often people don’t understand the core of what we do, they only see the surface and think it’s easy as pie. But we were sure that we would have a good chance if the jury understood our work. During the ceremony, we were convinced that the Dutch delegation would win. No one was more surprised than we were to have won the prize. A direct effect or immediate impact didn’t happen at first. The media response in Germany was nil. Unfortunately, all press statements and official texts were in English only. For some of our contacts, especially those that are important for the project, many of whom are in the regions in offices and agencies, job centres and employment agencies, regional business organisations and disability organisations, etc. they don’t speak English. It’s a prerequisite that you address them in German if you want to achieve anything. What response did you receive from your colleagues and peers? 1) Our reputation among our supporters has solidified. This has improved our position in negotiations when it comes to survival and the scale of our funding. 2) Our reputation within the sector has increased. This is also important when it comes to resources. 1) We were convinced that we helped a lot of people with disabilities. What we do is really innovative and could, if imitated, help many disabled people in Europe. We wanted as many people as possible to get to know our work because that would help to change the image of people with disabilities. And we believed we could do that if we win. 2) The award helped us – and still does – in negotiations with funders for support and resources. This has been really helpful, so entering to win was our goal. Focus on the essentials. Ask yourself: “What is the core of what we do?” and explain it simply but precisely with detailed justifications. Describe the positive impact of your work. To find out more about Enterability, visit the website at www.enterability.de. 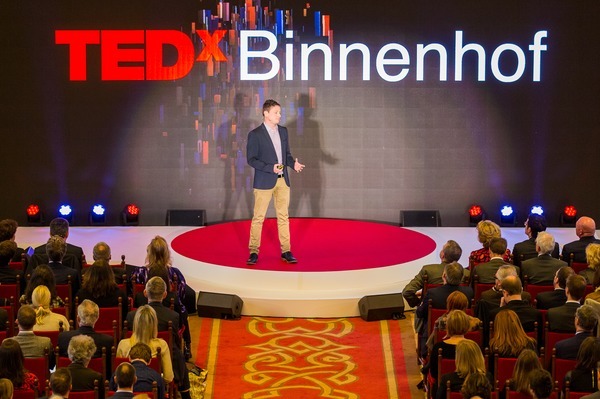 In this week’s post from our June Entrepreneur in Residence, Kenny Ewan of WeFarm delivers a TEDx Talk about providing the benefits of the Internet to the 500 million small-scale farmers around the world with no Internet access. WeFarm is a pioneering social enterprise, scaling a unique peer-to-peer knowledge-sharing platform for the 500 million small-scale farmers around the world with no access to the Internet. These farmers are isolated; often many miles walk from the nearest village or access point to vital information. They have no way to diversify, improve their farms and livelihoods or even start a new micro-enterprise. Which is where WeFarm comes in. With WeFarm, users can share questions, advice and ideas addressing anything from farming techniques to business ideas, and all accessible to anyone, anywhere – without leaving the farm or having any access to the Internet. Since its launch, WeFarm has already scaled to more than 29,000 farmers using the system, with more than 3.6 million SMS processed already. By harnessing the generations’ worth of knowledge contained within farming communities themselves, WeFarm aims to have one million farmers benefitting from the system by end 2016.